Among paid-ad related conversations, there is a large shift away from TV and other traditional advertising channels toward digital. Desktop and mobile ads have leapt into first place among the leading channels, with 31.8 percent of all paid-ad inspired conversations related to a digital paid ad, up from 16.6 percent five years ago. Meantime, TV ads have dropped from first place at 37.4 percent in 2013 to second place at 31.6 percent. 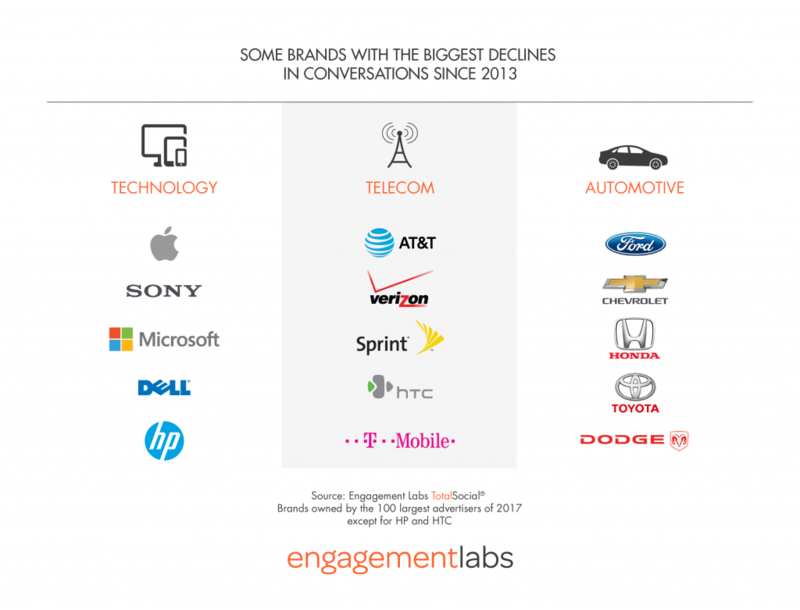 The report identifies that across the US population overall, the biggest declines in conversations are concentrated in our most innovative industries—technology, telecommunications, automotive, media/ entertainment, and sports. 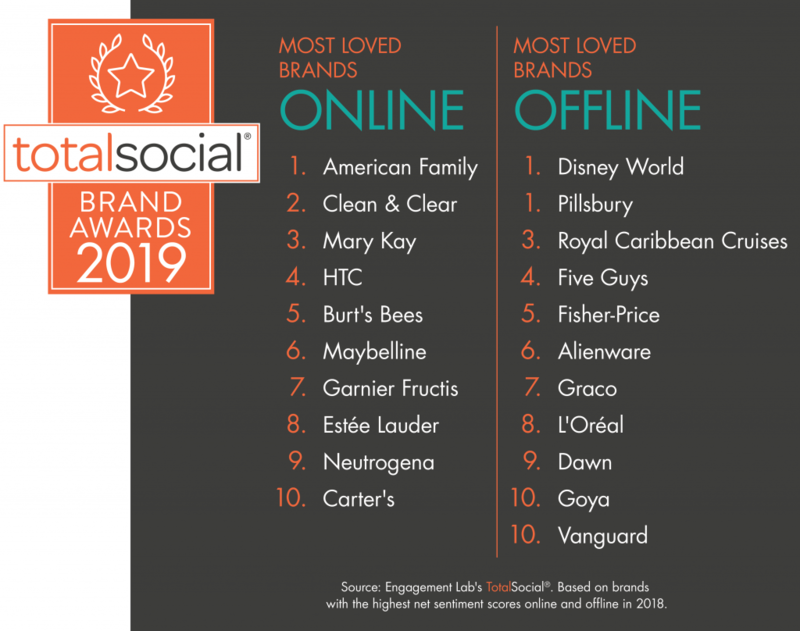 All these categories have seen a double-digit percentage decline in the number of conversations consumers have each week over the last five years. In addition to tech, telecom, and media, younger consumers are talking less about beauty, retail, food/dining, and beverages. “This is a wake-up call for advertisers. There’s no stronger measure of brand engagement than consumer conversation. When brands have trouble provoking conversation and recommendation, they need to rethink marketing strategies,” Keller said. 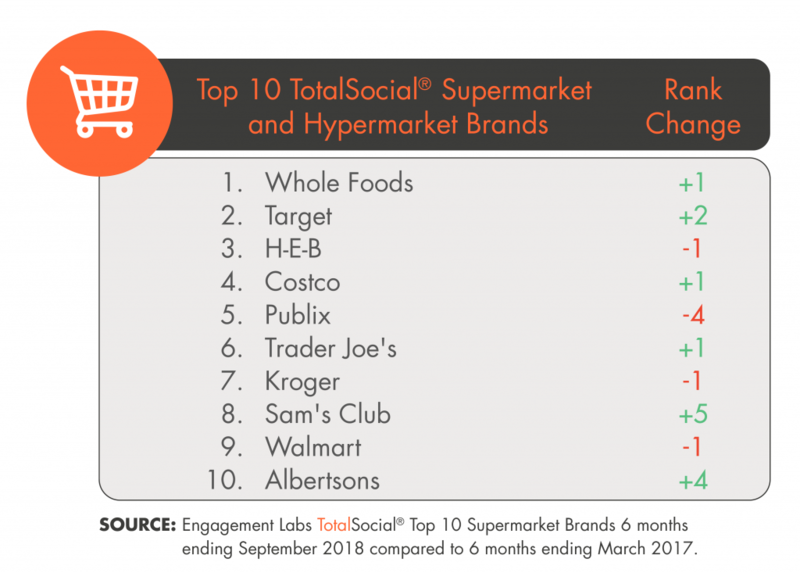 NEW YORK, NY (November 8, 2018) – Engagement Labs Inc. (TSXV: EL) (OTCQB: ELBSF), an industry-leading data and analytics firm that focuses on the entire social ecosystem and its impact on business, today released its TotalSocial® top 10 ranking supermarkets and hypermarket brands in the U.S. based on social influence. 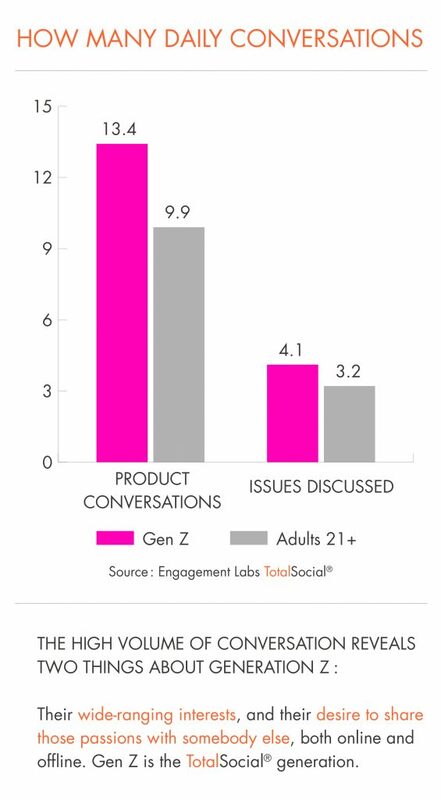 The analysis is unique in that it combines offline and online consumer conversations and is based on Engagement Labs’ proprietary TotalSocial data and analytics, which continuously measures the most important drivers of brand performance in both face-to-face (offline) and social media (online) conversations. The brands in the top 10 have earned the highest TotalSocial scores in the category for the last six months, compared to last year six months ending March 2017. According to Engagement Labs’ report, Sam’s Club enjoyed the biggest jump in the rankings, moving into the eighth place from its previous spot at 13, primarily due to large increase in offline sentiment, and to a lesser extent an increase in online brand sharing. The brand announced in mid-2018 that they were changing the format of several of their stores to be more like “distribution warehouses” to focus on fulfilling online orders. They are also developing a small-format concept focusing on fresh food and “grab-and-go” meals. 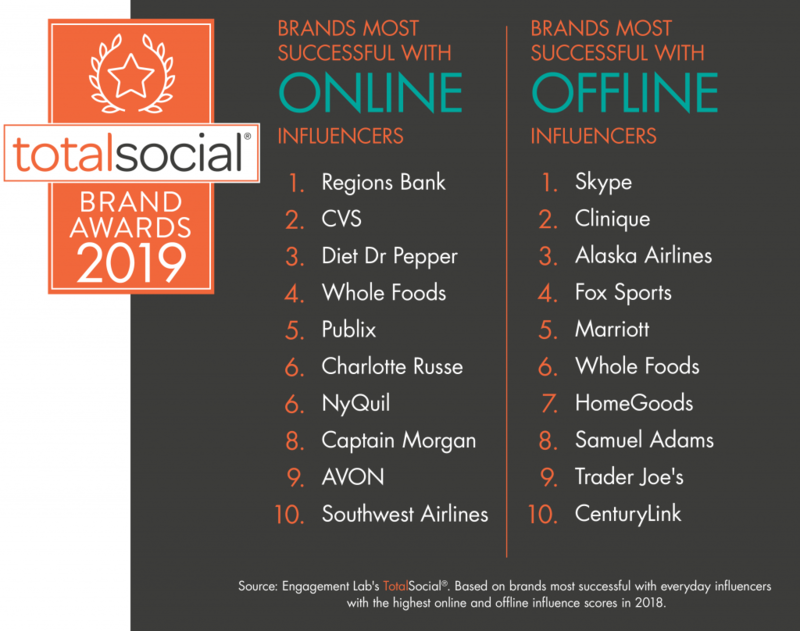 Whole Foods moved into the number one spot from its previous rank at two, due to an increase in offline brand sharing. The American supermarket chain that specializes in selling organic products was acquired by Amazon last year, and has offered savings exclusive to Amazon Prime members. Target is ranked second overall and is the top-ranked “hypermarket” on the list. 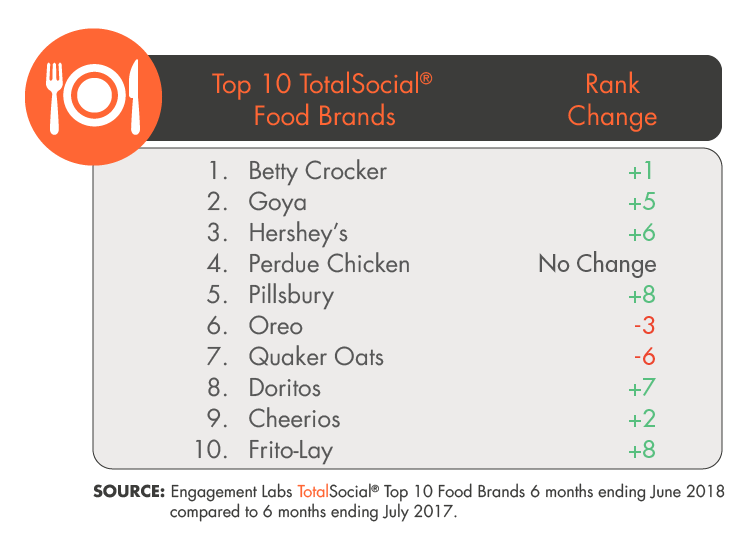 “It is natural for consumers to develop a very close relationship with the grocery store they visit frequently, and thus it is important for them to focus on driving recommendations from their loyal customers,” said Ed Keller, CEO of Engagement Labs. “The emergence of home delivery for groceries increases the competitive challenge. Whole Foods’ number-one TotalSocial rank, combined with the backing of its new owner, Amazon, makes it the brand to watch in this important category.” Consumers across generations approach shopping in different ways. Safeway dropped out of the top 10 to number 18. The brand’s Florida stores have recently been acquired by Publix. While it’s parent company Publix, the employee-owned supermarket chain, currently sits at number five from its previously held number one spot. 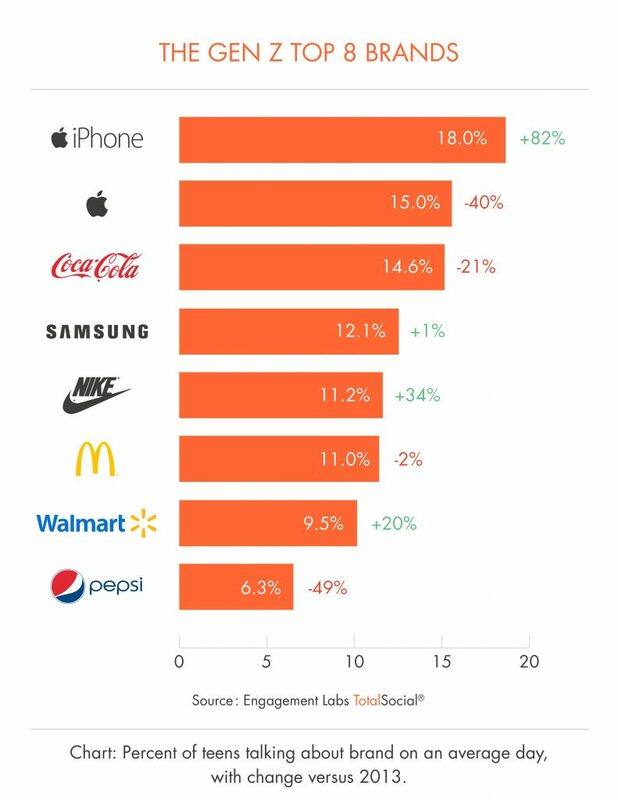 This drop was caused by a decrease in the brand’s sentiment, particularly online. Publix was recently at the center of a boycott because of the their support of Adam Putnam for Florida governor, a self-proclaimed “proud NRA sellout”. 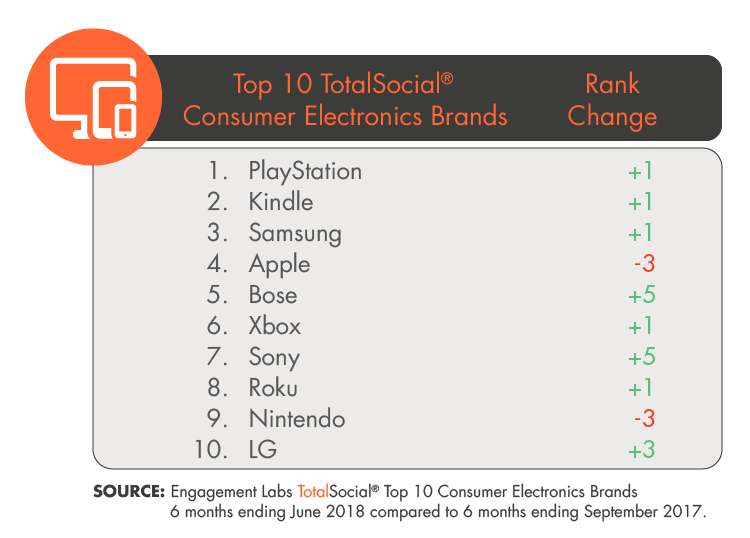 To learn more about Engagement Labs and how to increase your brand’s word of mouth in real life and online, reach out at: totalsocial@engagementlabs.com.